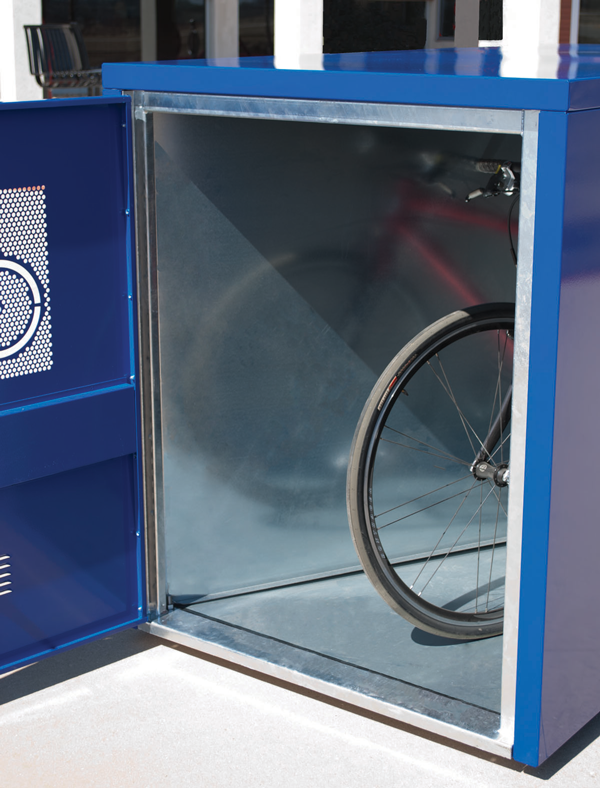 A bike locker will be one of the best bike security options for bike storage, as these units provide a completely enclosed, individual area to store bicycles. 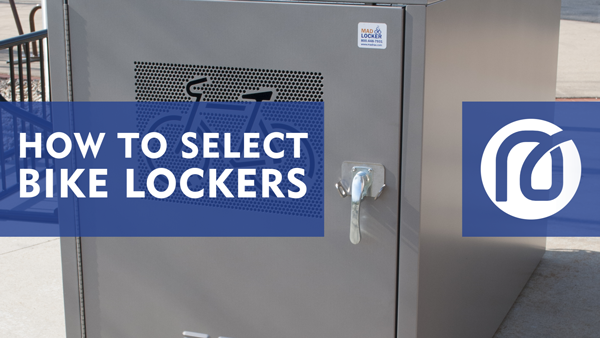 To select the best bike locker for your situation, there are a variety of options and decisions to consider. 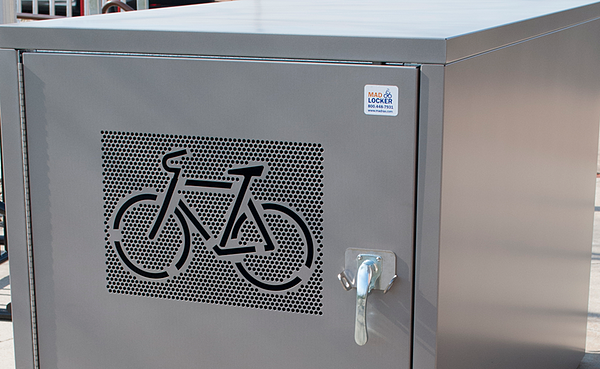 Because of the security they provide, bike lockers help encourage active transportation. 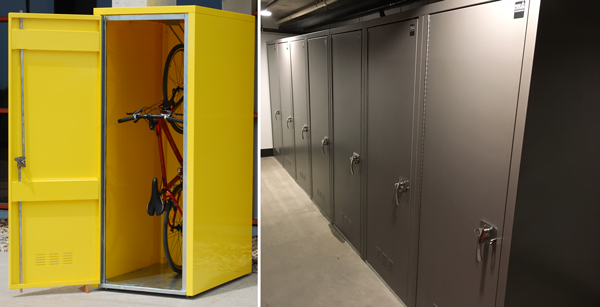 Cyclists will feel more confident using lockers to store their bicycles. These give users a better sense of protection from theft, vandalism and the elements when installed outdoors. With bicycle security as the primary benefit, it’s important to evaluate all the elements of a bike locker that factor into how secure it makes bike storage. In terms of the materials used to enclose the bicycle, we recommend steel. 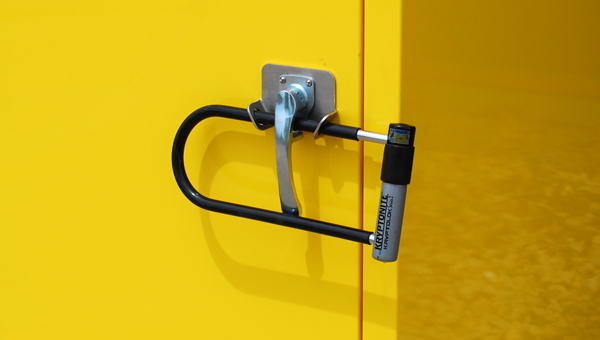 This provides an ideal level of protection against common attacks to the security of bike lockers. Like commercial bike racks, thieves will most often use hand tools to implement a strategy of cutting, prying and burning to break into commercial bike lockers. Bicycle lockers made of steel are incredibly tough to cut with hand tools. Alternatively, plastics have different levels of resistance to cutting with common tools. While some plastics can provide additional resistance, those with shells made of soft polyurethane can be cut open. The chance of burning is also a concern with bike lockers made of plastic. A vandal with a torch or lighter could be successful in igniting an entire locker. A building fire can also have a greater impact to plastic bike lockers and the items stored inside, compared to those constructed of steel. 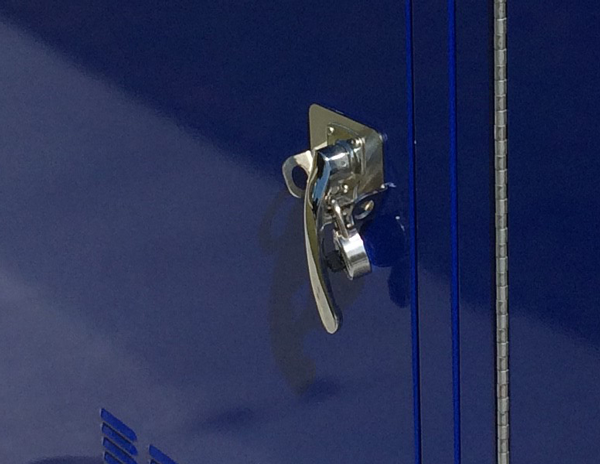 As the main access point into the locker, doors play an integral role as part of the bike locker’s security. 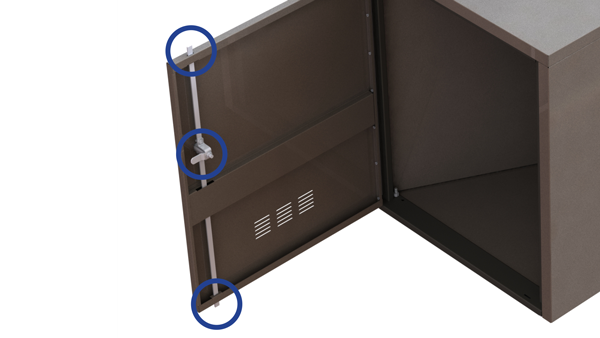 Make sure the enclosure door frames are constructed with little to no gaps. The smaller the gap the less opportunity a crow bar can be inserted to pry open the door. In addition to material makeup of doors and panels, perforation is the other feature to review. From the perspective of visual inspection, perforation allows security guards or other personnel to inspect the items inside the locker. This may be required when the lockers will be used in a public setting. It can have an adverse impact, as thieves will also be able to view the value of the contents stored in the locker. 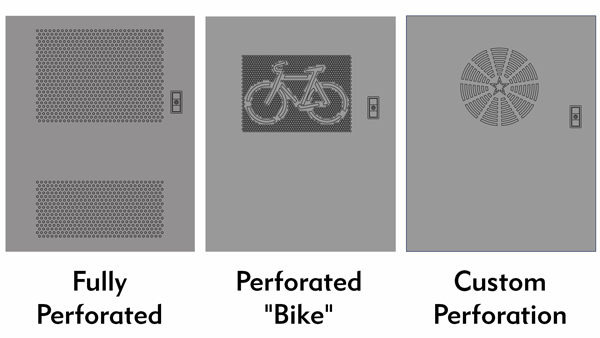 Beyond security, perforation provides additional venting to cool lockers that maybe placed in warm environments, especially for outdoor bike lockers. This also allows for fresh air to circulate through the locker. This is beneficial as cyclists may store clothes inside the locker that were made sweaty from using their bicycle. The most important factor of the locking mechanism will be the number of tabs securing it into the internal frame. Three inserts are recommended. Minimally there should be two. The tabs are used to lock the door closed and provide security against prying attacks. The fewer the tabs, the more likely the door can be pried open. There a couple of different locking mechanism styles that are commonly used on bike lockers. The style you select is largely dependent on how you intend to use your bike locker. A locking mechanism with a handle lock is well-suited for public use in a first come, first serve scenario. This mechanism is locked by inserting either a padlock or U-style lock – a common lock already owned and used by cyclists to lock their bicycles to bike racks. It is worth noting that the locking element – U-lock or padlock – are external with this locking mechanism. There is the possibility that thieves could use tools to cut or break the locks. It is suggested these locks be used on bike lockers in areas that are restricted to only bike locker users, are meant for short-term bike parking or have constant surveillance. T-lock locking mechanisms are best in situations where lockers will be assigned to individuals. Usually in longer-term rentals or leases. 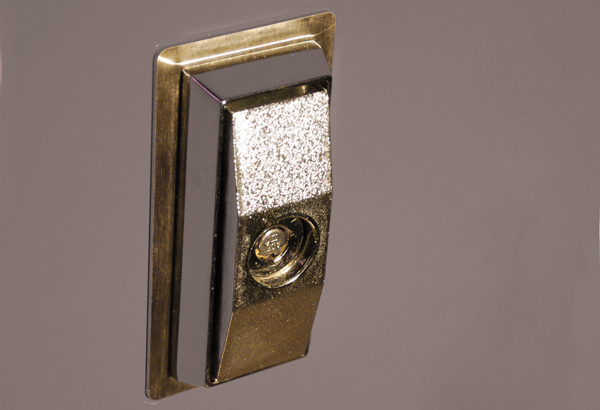 This style of lock consists of an internal locking mechanism built into the locker and pop-out T-handle latch. These come with individual, non-duplicable keys that can then be distributed for the assigned locker. The potential challenge with this locking mechanism comes from lost or unreturned keys. The lock must then be changed or re-keyed. Ensure the locker can be anchored to the surface. Look for lockers than have pre-drilled holes in the threshold. Spike anchors can then be used to attach the lockers to the concrete surface. For maximum performance of steel bike lockers, the finish of the steel is most important. 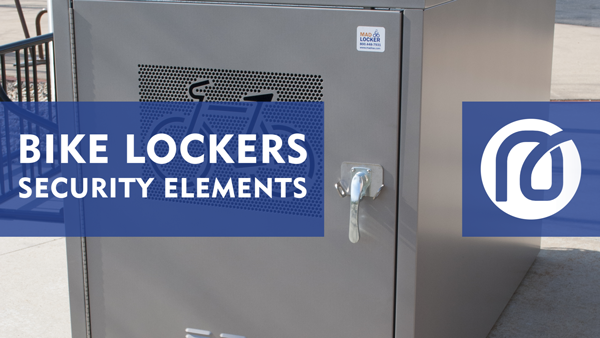 With the right make up of steel components, you can expect the lockers to remain sturdy and secure for many years. Whether they’re placed in controlled environments our outside exposed to weather. Panels, doors and frame elements should be made of a hot-dipped galvanized steel with a powder-coat top coat. Locking mechanisms, handles and other components should be a stainless steel. As these are the working parts of the bike locker, the higher quality of steel will keep these functioning for years. A bike storage locker will need to accept most standard-sized bicycles. Generally, the measurements of a bike locker should be more than the standard bicycle measurements: 72 inches long x 24 inches wide x 46 inches tall. The interior of the locker should be spacious enough to store the bicycle while also allowing for additional items like bags, helmets and other related accessories. Catering to these dimensions, bike lockers usually then come in two designs styles – rectangle and pie. They can also be placed in a horizontal or vertical configuration. With a horizontal configuration, the bike locker is one layer on the ground. The door can be opened, and the bicycle can be rolled directly into the locker. The storage capacity of each unit is what needs to be considered next. For reference, a Narrow MadLocker from Madrax measures 31 inches wide and can store a single bicycle. Along with enough room for storing additional items. 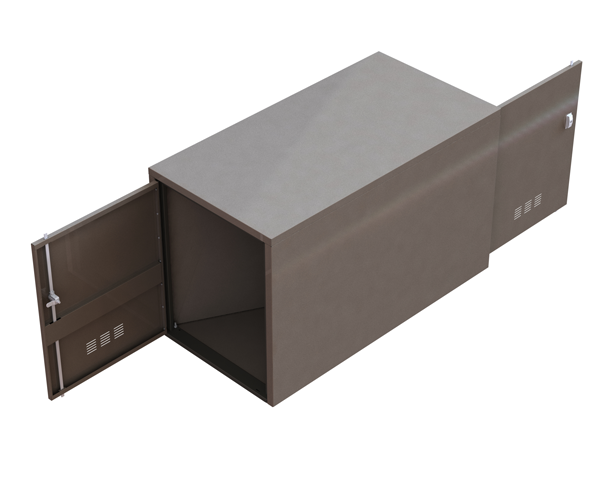 The MadLocker, measuring 39 inches wide, provides even more storage capacity. However, this results in a wider footprint. The MadLocker can also be configured to store two bicycles. A diagonal partition, along with a door on each end, is used to create the two triangular parking spaces inside the locker. This is the most cost-efficient way to maximize the number of bike locker parking spaces. Horizontal bike lockers can also be stacked. Allowing you to maximize the number of bicycles that can be parked per square foot. Stacking lockers would require lifting or lowering a bicycle to the upper level for storage and removal. This type of locker may be difficult for certain users. A pie-shaped bike locker is an alternative horizontal bike locker design. They have the same width at the door but narrow towards the rear. They offer different options for utilizing areas of available storage space, like corners or areas that are not square in shape. Banked together, they can also make visually-entertaining circles and half-circle designs. Vertical bike lockers are best for minimizing the floor space needed to install bike lockers. These lockers are a few inches taller than horizontal bike lockers are long. The extra space is needed so the bicycle can be lifted onto a hook that holds the bicycle in the vertical position. This type of locker also requires the cyclist to lift the bicycle for storage, which may limit the use by some cyclists. Ground level lockers have the option of adding a floor inside. Without the floor, the area’s existing surface will serve as the floor. A floor is recommended, since it is more secure from thieves prying the bottom of the unit. When stacking bike lockers, the roof of the lower unit will act as the floor for the upper unit. Beyond the standard features of bike lockers, there are some customization options available. Perforation and cutouts on doors can be customized. This is commonly used for branding, advertising and to match existing designs. The powder coat color of your bike locker can also be customized. When it comes to bike locker layout, there are multiple things to be aware of and gotchas to be on the lookout for. Lockers placed too close together and too close to other objects (think walls or trees) can limit how far a door can open. To ensure the success of your layout, make sure there is enough end and side clearance. The ability for a bicycle to be maneuvered in and around a bike locker is the main concern. Aisle or corridors around bike lockers should allow for simultaneous users. How far opened locker doors swing out into the travel space should also be factored into the overall design. Keep in mind the flow into and out of the area with bike lockers. Both sides of the locker need to be accessible with two-sided lockers. Room to lift and lower bicycles need to be included with stacked and vertical bike lockers. Bike lockers are generally modular in shape and designed for in-line or banked configurations. Straight rows of lockers are accomplished by placing rectangular units next to one another. Adhered together with supplied hardware, it makes an almost seamless, continuous run of lockers. Pie-shaped lockers installed next to one another form circular shapes. Great for wrapping around exterior corners, following other curvatures or filling empty spaces. Many steel bike lockers arrive disassembled to save on shipping costs. They will need to be assembled and then placed in the desired location. Bike lockers also commonly have leveling feet. These can be adjusted to maintain a consistent height across a length of banked lockers. Subscribe to the Madrax Blog!